We are concluding the month of May in L4. This month, the students completed their third Major Assessment. I was happy to see the students do well and improve in some areas since last time. We continued to build their vocabulary and understanding of different topics. We especially focused on phonics and grammar, which I think has been productive for the students. I am happy with the progress and effort from L4 students this month and believe they have made some good steps to improve more. In Spelling, we continued to learn 16 new vocabulary words each week. As well as learning to spell them, the students learned different phonics rules through spelling class each week. The words are grouped together based on similar phonics, such as a vowel sound or grammar concept. This month, they learned about words that end in “ed”, “ing” and “y”. Besides learning the definitions of the words, we focused a lot on these particular phonics sounds which are used very frequently in English. 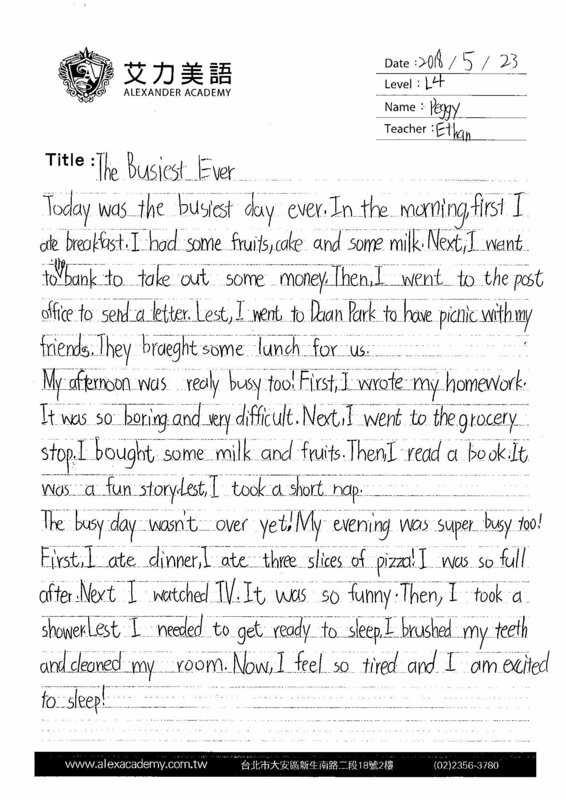 In Grammar, students gain a better understanding how to create grammatically correct sentences. This month, students learned how to appropriately use commas in sentences. 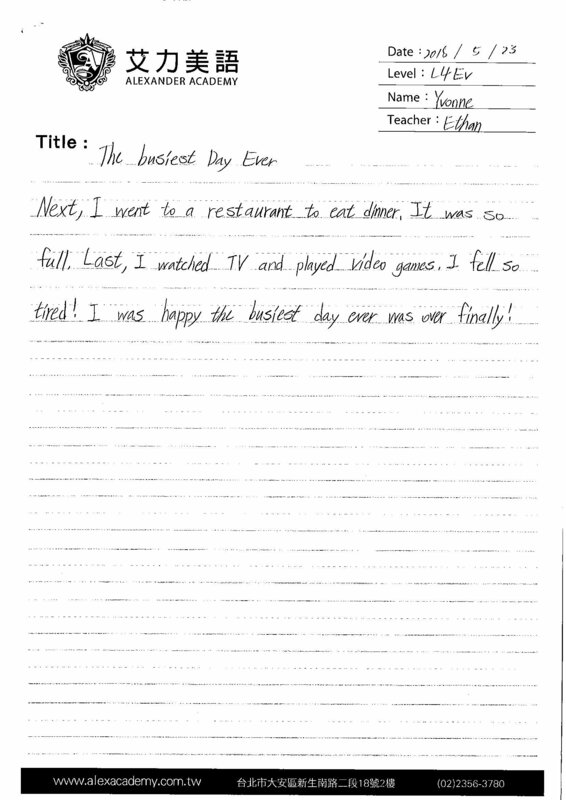 They learned when to use commas, such as in dates, names of places, and more. We also did a lot of review of past grammar concepts, such as past tense, in order to reinforce their knowledge of these concepts. In Science, we used scientific concepts to further expand the students’ English vocabulary. This month, we continued to learn about “matter”. Students learned that all things are made of matter, and learned how to identify and classify them into different categories. They learned about the three states of matter, which are solids, liquids, and gases. They also learned about magnets and learned about which kinds of matter can be attracted to a magnetic pull. In Social Studies, students continued to learn about social interaction, relationships between people and the world around us. This month, we examined various countries and continents around the world, such as Canada, South America, and Africa. We examined the various differences in cultures, languages, history, traditions, and more. Students learned that societies and daily life can vary greatly depending on where you live. Social studies is a great way to expand vocabulary while also learning interesting knowledge about the world around us. In Reading and Writing, the students completed their second public speaking class, in which they practice reading their writing in front of the class. I thought all students did better than the first time and I hope they continue to grow their confidence speaking in front of groups. 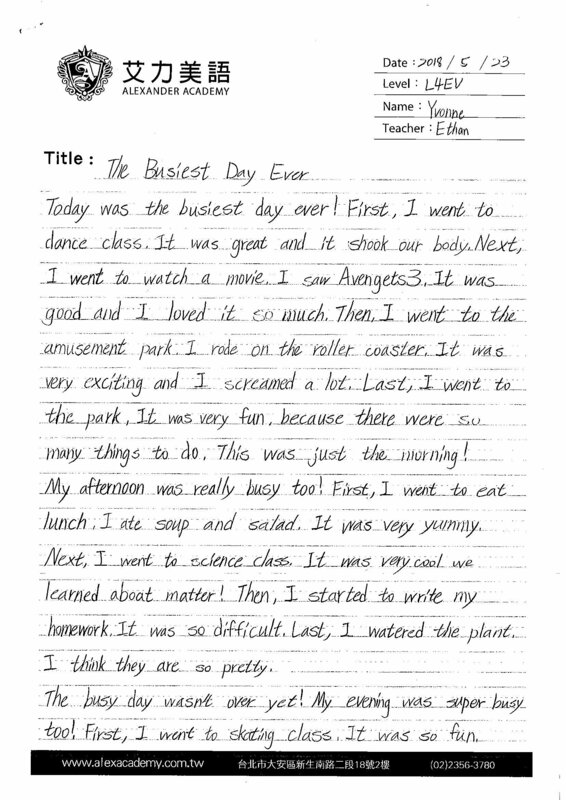 They also completed another writing project, in which they wrote about an extremely busy day in order to practice writing a sequence of events. Overall, May was a great month. The students of L4 brought a positive attitude to class and a willingness to learn every week. They all love to participate and be active in the learning experience. I am satisfied with their performances and look forward to continuing to build their English abilities.